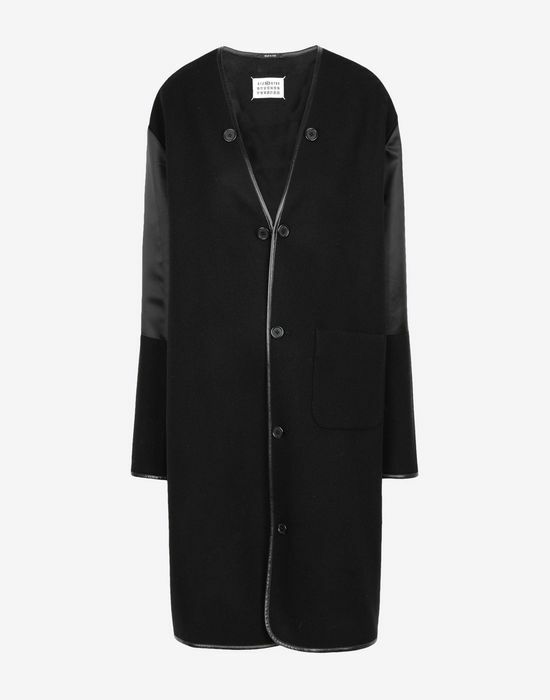 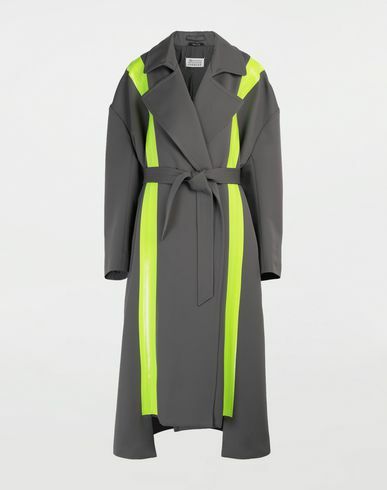 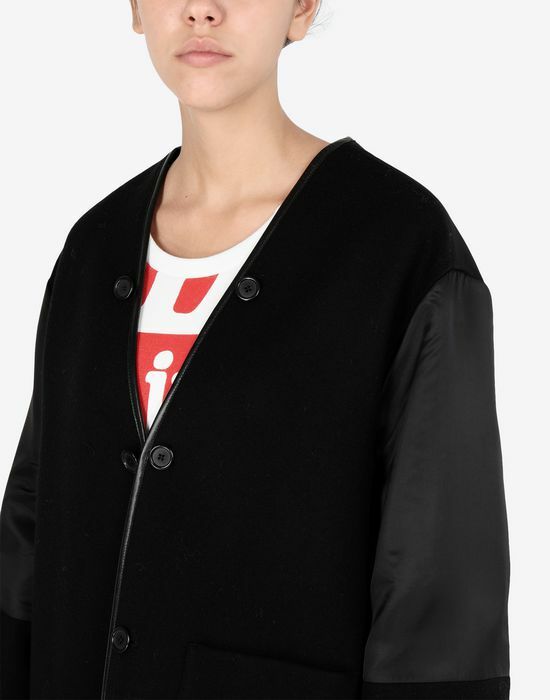 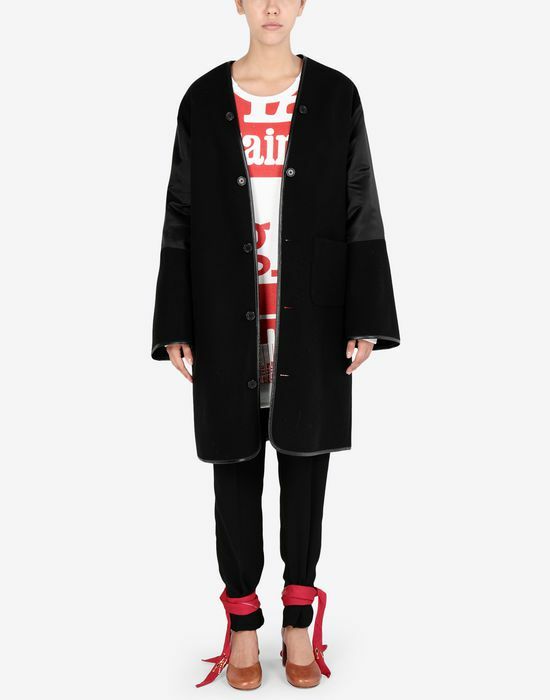 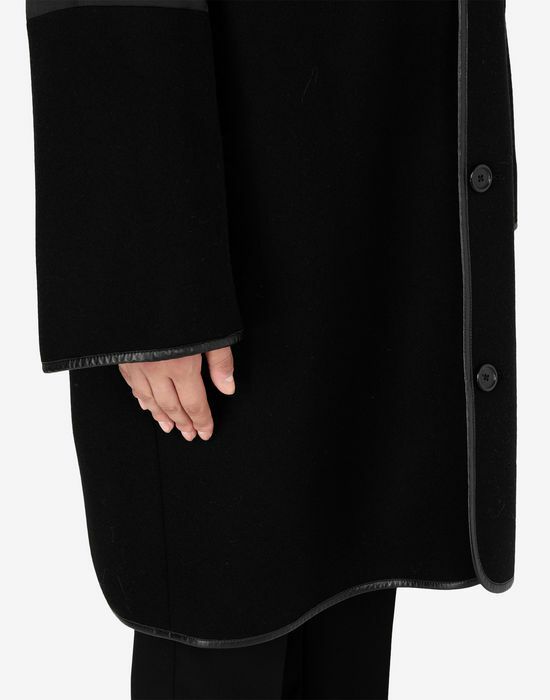 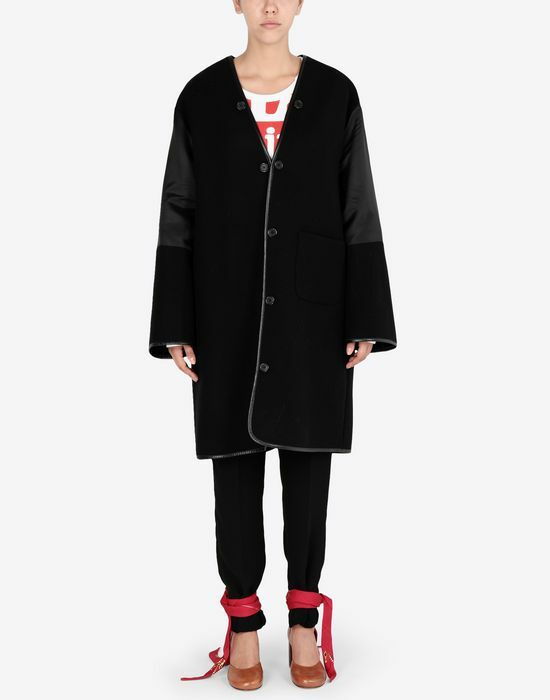 This black knee-length coat features centrally placed buttons, with slightly oversized sleeves. 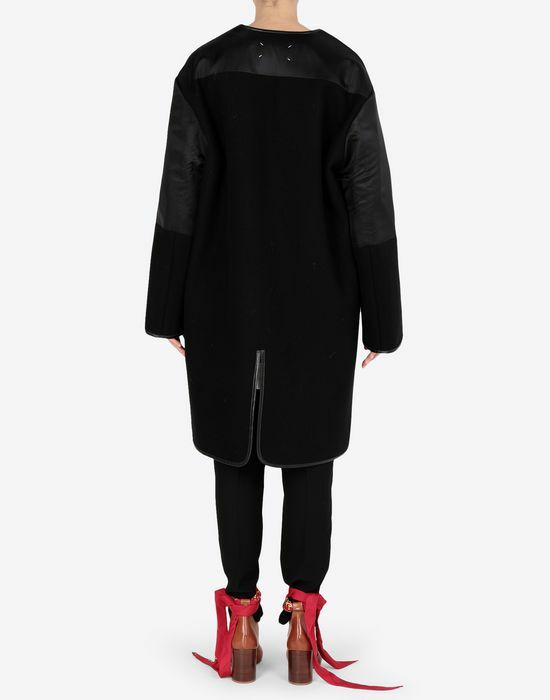 As the autumn-winter collection explores a sense of new glamour, modern sports-inspired details are key. 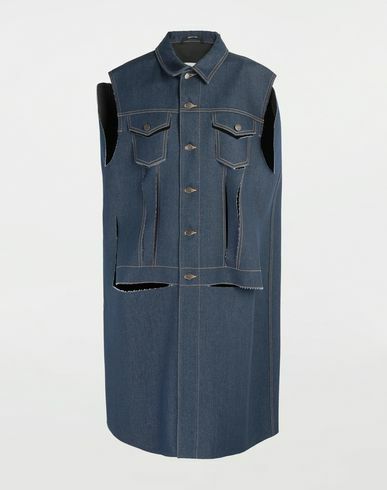 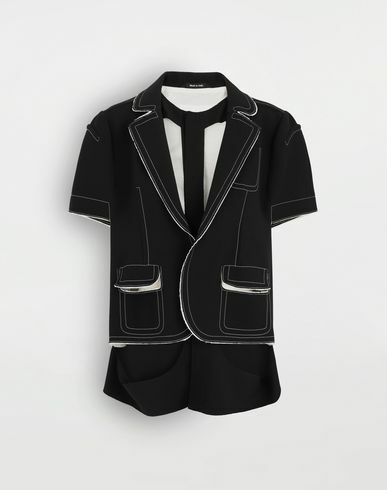 Piping lends a sleek touch, with high-shine panelling included on the upper sleeve and at the back of the shoulders. 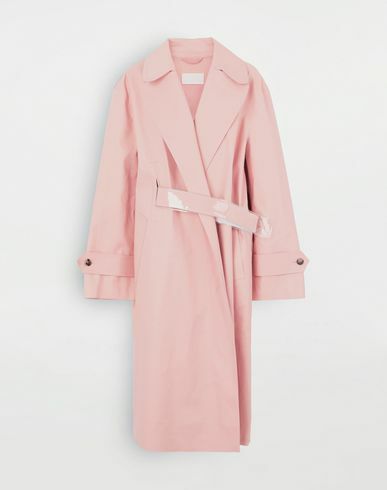 The ill-fitting silhouette of vintage lingerie was also an inspiration, resulting in the coat’s loose shape.